After a successful party or event, cleaning up is probably at the top of your list of responsibilities you want to get done as soon as possible. 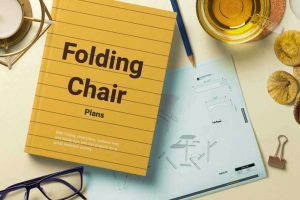 With everything else that needs to be done post-party, possibly the last thing you want to worry about is figuring out the best way to store folding chairs. Folding tables and folding chairs are definitely a godsend when you need to entertain a bunch of people or need to set up temporary seating really quick. But when you’re done with them, you don’t want to leave them out taking up space, or it would render the whole point of them being easily moved around and tucked away useless. 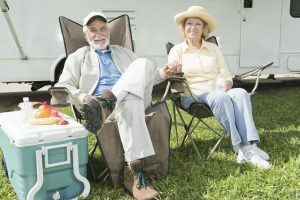 Obviously, the best way to ensure that you’re getting as much from your folding chairs as possible in terms of saving space is to make sure you’re getting folding chairs with measurements that fit your available storage space. 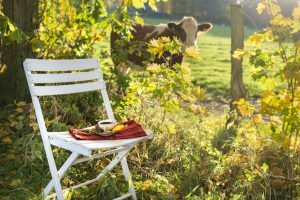 Unless you’re using your folding chairs specifically to replace permanent seating in a smaller home, then it’s best to keep them out of the way but still accessible. 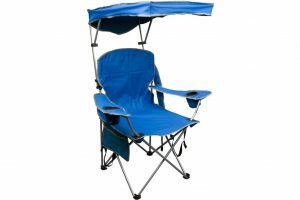 This will, of course, depend heavily on the type of home you have and the amount of space you can dedicate to storage, along with several other factors unique to what kind of folding chairs you need to tuck away. 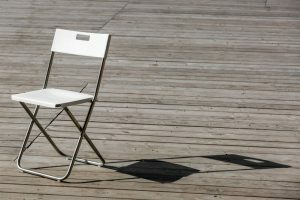 Depending on the material they’re made out of, for example, the best way to store folding chairs may have to involve some thought put into whether the temperature of the storage place is ideal or not. If you’re thinking of storing them in a place that rarely sees activity, like an outdoor storehouse or a garage, then you may have to consider the possibility of pests; using storage bags and the like can keep the folding chairs safe from rodents and insects. 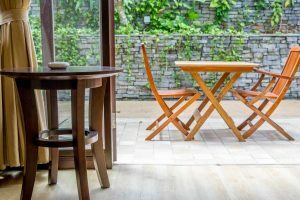 While everyone’s homes and available storage spaces will be different, there are definitely several places around the house you can easily tuck your folded chairs away. We’ve got some simple ideas that will hopefully help you find storage space around your home that’s accessible and space-efficient. When you think of storage, there are definitely some places that are typically spaces dedicated to just that. 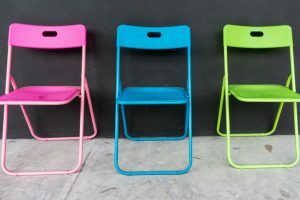 If you have these spaces available, then the most efficient and accessible places to store folding chairs are kept out of sight in attics, basements, or garages. 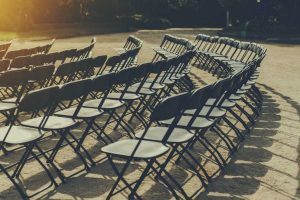 These places are accessible enough that you won’t have to worry about struggling to get the chairs out when you need them, but also out of the way that you won’t have to question why you bothered with folding chairs in the first place if they were going to take up so much space. Depending on the build of your folding chairs, you can stack them or line them up— whichever is easiest for you. The one thing you should make sure of is to arrange them in such a way that they aren’t blocking your access points. The last thing you want is to be unable to enter your attic or basement ever again because a mountain of foldable chairs have blocked the doorway. If you’re storing them in the garage, make sure they aren’t blocking your cars or stored anywhere where they could potentially fall on top of them. If your storage place of choice is the basement, depending on your home and the area you live in, you may want to consider placing a pallet under the chairs to prevent any possible water damage. If your attic, basement, or garage can’t accommodate your folding chairs—or if you don’t have an attic, basement, or garage—don’t worry, there are other places you can use. If you’re living in a home where space is a particularly valuable commodity, and you have several folding chairs, consider splitting the storage spaces up. Store a few in any unused closet space you have. Stacking them or lining them up in a row will save more space than arranging them individually flushed against a wall. You can always arrange any other items that need to go inside the closet around or on top of the chairs. Using storage bags will be a great way to not only make your arrangement look a bit tidier, but it’ll also prevent the chair legs from snagging on your clothes or anything else you have hanging in your closet. You can store the rest of the chairs that don’t fit in your closet in any other unused space you have. Given their shape, you should consider if there are any other places around your home you can tuck them into. They can be stored in unused spaces such as behind or underneath beds, couches, bookshelves, and even tables. Just make sure they aren’t preventing you from using whatever it is you’re hiding them behind or under—again, what’s the point if they’re inconveniencing you. 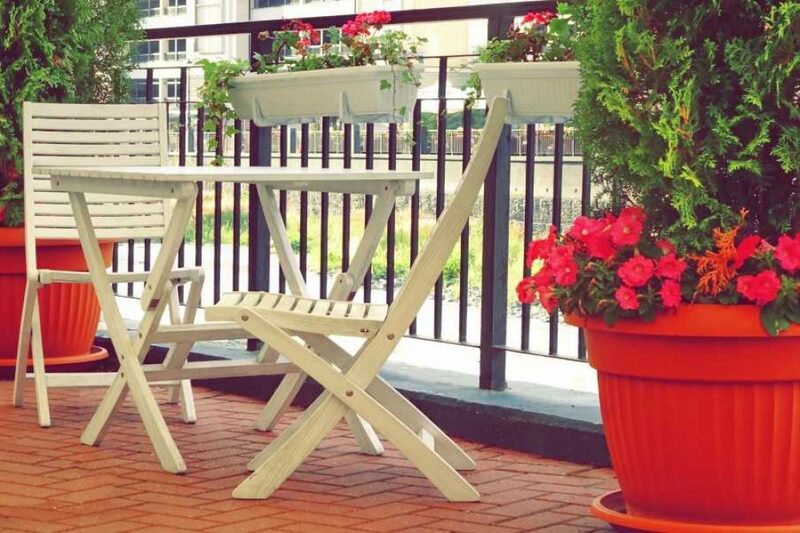 If in any case you realize that no matter how much you look, you just don’t seem to have any unused storage space to hide away your folding chairs, just leave them in plain sight—that is, not in the way for unfortunate toes to smack into, but as part of your home décor. Purchase or DIY some wooden brackets to hang your folding chairs from the wall, maybe thread some fairy lights through them. Not only have you saved yourself some valuable floor space, you now have an interesting installation that acts as a conversation starter. You could also opt to have the seats open as they hang from the walls, if the build of the folding chair allows, to be used as shelves. Alternatively, when these chairs aren’t being used for seating, you might as well find other uses for them. You ca—n place plants on them, hang laundry on them, or even use them to hold all those clothes you’ve used that aren’t dirty enough to be washed but aren’t clean enough to go back into your wardrobe. 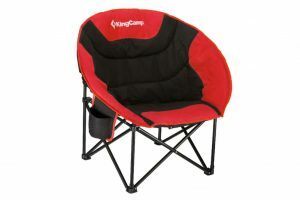 As you can see, folding chairs can be stored in very many different places. Although these are just a few storage ideas, and while their use will definitely depend on you and your space, we hope this article was able to show you where you can start looking. In most households, one often has to search really hard to find space to accommodate folding chairs. Thank you very much for sharing these ideas. I have learnt a few space management tips too from this blog.